Have you seen the Pokerstars show Shark Cage? If not, watch an episode here. In addition to our regular Leagues and The Premier League, we also have another very interesting way for our players to win an exciting prize. It's called The Shark Cage. This is modelled after the Pokerstars TV show (link above). There are spots for 36 players. There will be 6 heats (6 players in each). The winner of each heat will advance to the final. The Pokerstars event is a winner take all $1,000,000 prize. Now, unfortunately we can't afford that, but we will follow the winner take all format and the winner will win a seat at a local casino event. Qualification is simple ... the 36 players who have played the most events will gain a seat into one of the heats. The Shark Cage Leaderboard will be updated after each game so you know where you stand. Ideally we would like to have 36 players. If we have less than 36 players we will arrange heats as per the chart below. Extra seats may be available depending on the number of players. These extra seats can be filled by players who bust out from their table. But, in order to fill an empty seat, a player must have a bonus chip (a bonus chip is earned by sending someone to the Shark Cage). As people are eliminated, they will have first choice of any empty seat that may be available. These seats will be in play and blinded out. The player must be seated immediately if they want the empty seat. No Limit Hold'em. Regular poker tournament style game with blind increases every 25 minutes. Each time it is your turn to act you will have 60 seconds to act. If you do not act your hand will be declared dead. Initially, if after approximately 30 seconds you have not acted, someone from your table will begin a 30 second countdown by watching the tournament clock – and counting down the final 10 second verbally. Each player will be given 2 Time Bank chips which can be used when they need more time for a decision. Each is worth an extra minute and can only be used once. Each remaining player will be given an additional Time Bank chip at each break (every 3 levels). On the river, when a player takes any aggressive action (bet or raise), the player taking the action must place either a “value” card or a “bluff” card face down on the table to indicate if they are bluffing (with the worst hand) or if they are betting for value (with the best hand). If a player pulls off a bluff on the river, the loser (who folds the best hand) gets sent to the Shark Cage to miss an orbit. The bluffer meanwhile gets a bonus chip. 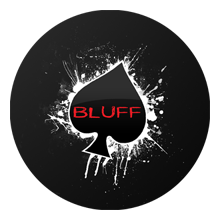 If the bluff gets called (and the bluffer does have the worst hand), the bluffer must go to the Shark Cage, and the player who called will get the bonus chip. Bonus chips are worth a re-entry if you bust and there is an extra seat available (see above). The Shark Cage is only in play when 2 players see the river card heads up. The Shark Cage is only in play when there are 4 or more players left in the heat or final. Once 3 handed the Shark Cage is no longer in play. 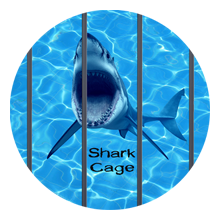 If you are sent to the Shark Cage, you must report directly to the Shark Cage and remain in the Shark Cage for an entire orbit. You may not for any reason leave the Shark Cage. If you leave the Shark Cage before your orbit is completed you will be disqualified from the event. The only exception to this rule is when the event is on a break. But, after the break you must report back to the Shark Cage before the first hand is dealt or you will be disqualified. Tweeting photos etc. and posting to other forms of social media from the Shark Cage is acceptable and encouraged.